I almost always cook dinner on Sunday night, and love the tradition of enjoying a lavish home cooked meal before starting another busy week. A home cooked meal is something I enjoy, especially when I have a busy week and simply want to enjoy food, a good recipe, and good company. 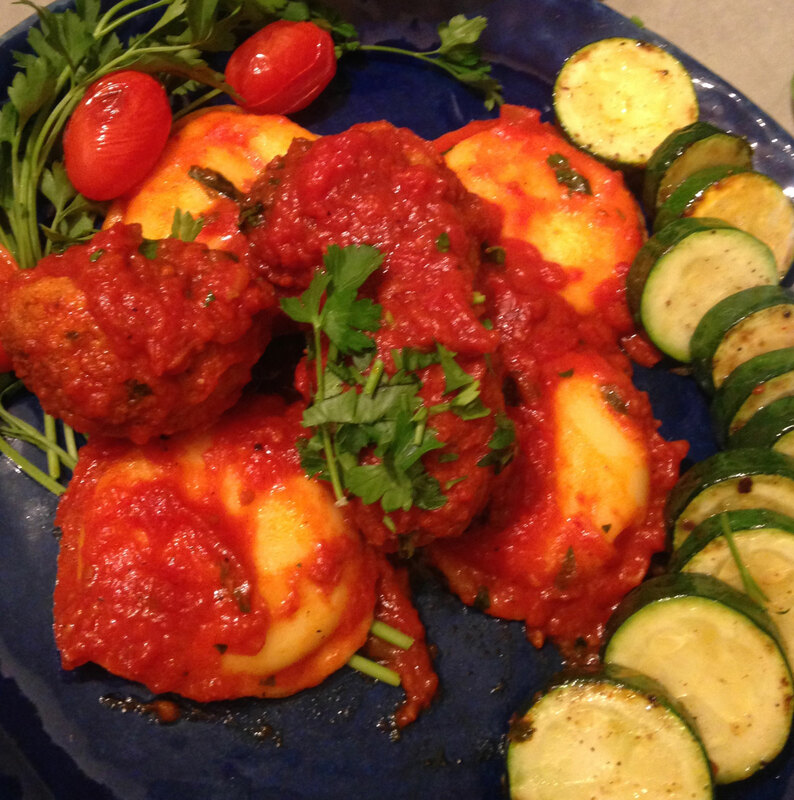 One of my favorite recipes is turkey meatballs- a quick, simple but delicious meal. I usually make the full recipe and freeze the leftovers. That way I have a delicious, healthy and quick dinner or lunch when I don’t have the time to cook. 1. Preheat oven to 350F. Combine turkey, eggs, cheese, parsley, garlic, salt, and pepper. Blend breadcrumbs into meat mixture. Once mixture is complete, add water. Mixture will be quite moist. 2. Shape meat into balls. I usually make them approximately 2 inches round, make them however large you want them. 3. Heat oil in large skillet on the stove. 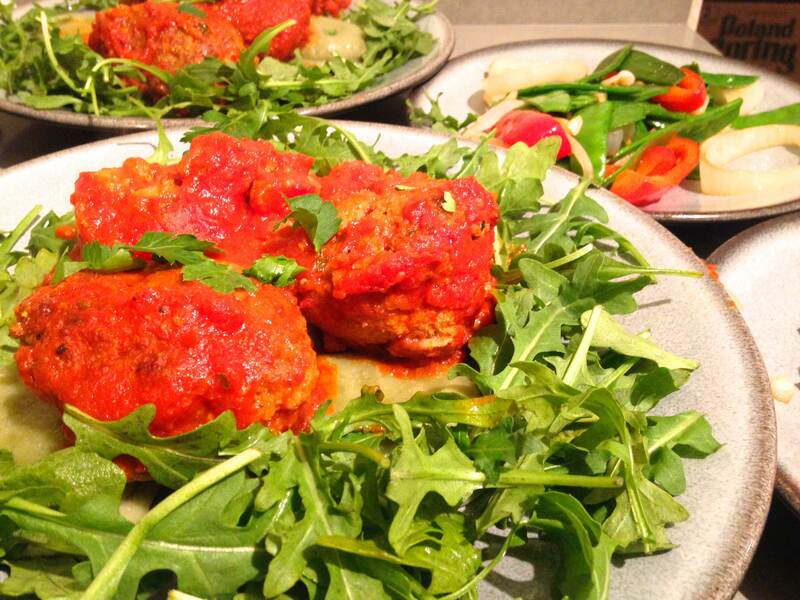 When oil is hot, fry meatballs until they are nicely browned. When bottom of meatball is cooked and crispy, turn and fry the other side. Drain meatballs on paper towels immediately when you remove them from the pan. 4. Spoon a cup of marinara sauce on the bottom of a 9×9 inch casserole pan. Place fried meatballs in the pan and cover with aluminum foil. Bake for 30 minutes, or until middle is fully cooked. *You can use beef, veal, pork or chicken instead of turkey. If you use beef or veal, add 1/2 cup water to the recipe.